After shooting award winning food and beverage images for sixteen years, Michael shifted gears. Taking his knowledge and understanding of the industry, he applied it to food styling. The skills he developed being a photographer translated perfectly. Understanding light, color and composition have greatly contributed to his success as a stylist. Food styling for over twelve years, Michael specializes in beautiful savory foods that have a organic natural feel. He has worked on everything from national print ads, tv commercials, packaging, cookbooks and live television. He has also developed the skills to make drinks and bottles look beautiful for photography. His beverage styling skills range from icy cold bottles with condensation, to a non dairy creamer bloom in coffee. 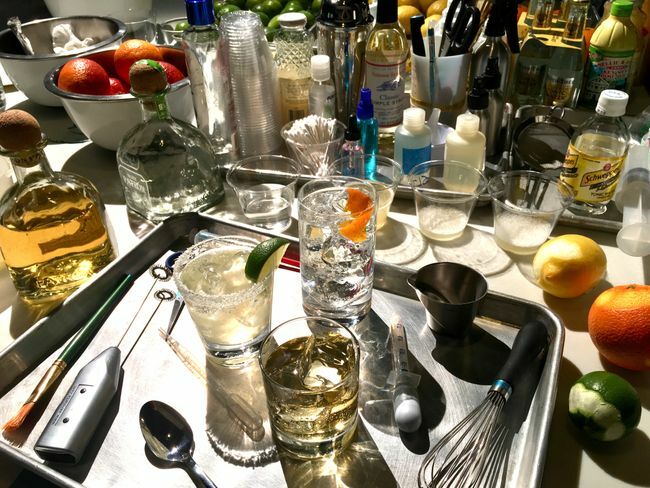 He is an expert in bottle prep, condensation, real ice cocktails, beer pours, coffee drinks, frozen drinks and champagne pours. A few companies that Michael works with include...Coca-Cola, Grey Goose, Tanqueray, Food Network, Kellogg's, Kraft Heinz, ConAgra, Nestle, Tyson, Patron Tequila, Beam Suntory, Diageo, Budweiser, Heineken, Corona, Miller Coors, Hilton, Hyatt, Crate & Barrel, Condé Nast and American Airlines.